Mat Barkley came along to Jaipur for the sampling of this year's warm weather collection and made this short video of the process. The traditional process of hand block printing on textiles, has been practiced in Rajasthan for around 500 years. The craft has been passed down for generations within families and communities, contributing to decentralized artisan textile production. Our textile designs are carved by hand into wooden blocks by a group of Sanganer based wood block carvers. 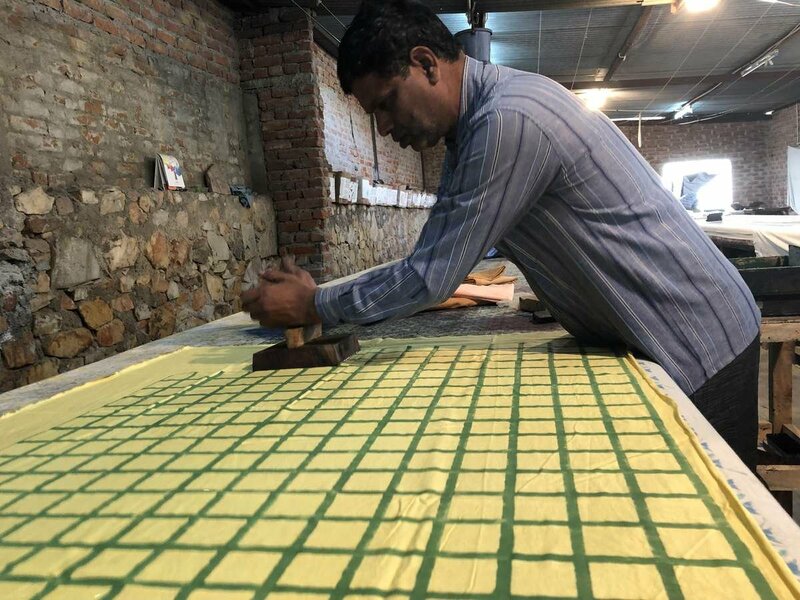 The print is then applied free hand one block at a time for the entire length of the yardage by block printers at the open air print and dye facility in Sanganer. Our garments are made with fairly traded GOTS certified organic fabrics. 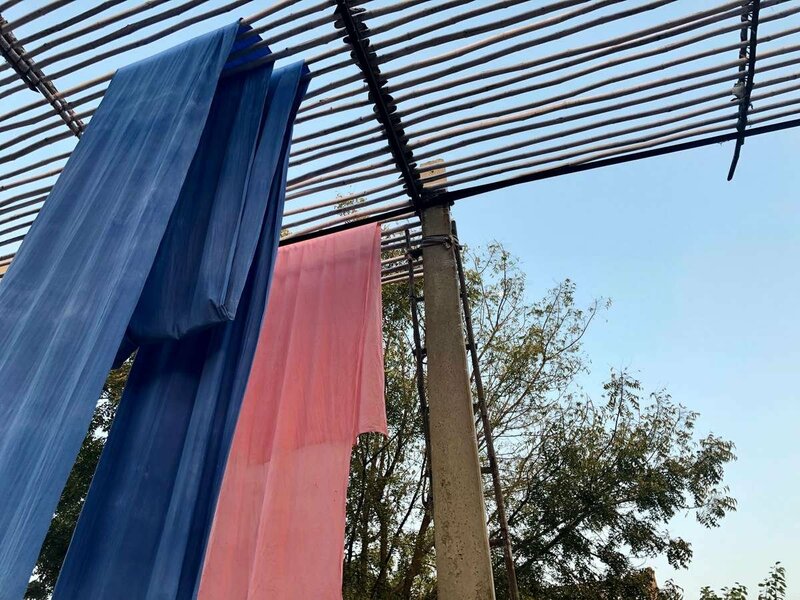 The fabric is dyed using AZO free low impact dyes. Our partners in Jaipur and Sanganer have recently raised funds and installed an improved water filtration system: effluent treatment plant. The ETP removes the dye residue, cleaning wash water and reusing it for fabric washing. Combined with a rainwater catchment system, this can reduce water use by up to 80 percent which is very important in the dry desert climate of Rajasthan. 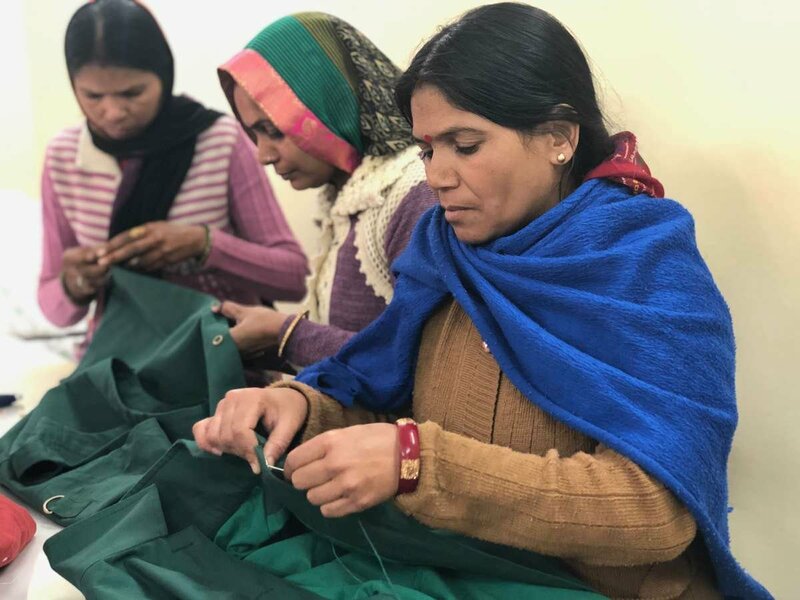 Our garments are patterned, graded, cut and sewn under one roof in Jaipur. The production takes place in a house on a quiet street in Bani Park. We have chosen to work with self enclosed seams wherever possible for a more durable finish. Everyone working in this facility ( as well as the Sanganer dye and print facility) have full time, permanent employment with pensions. 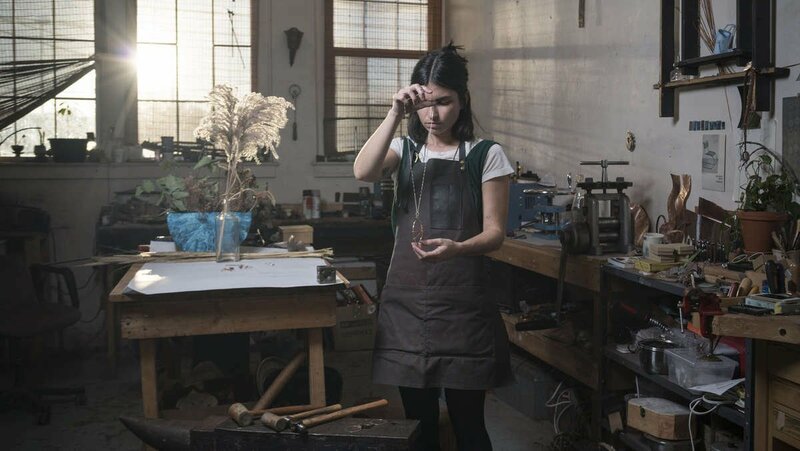 Sarah Sears designs custom hardware for many pieces throughout the collection. These are carefully cast in brass to preserve the finest details and elevate the finished garment.